Would a reasonable person go walking on railroad tracks with their child while drunk? And in a prosecution for reckless endangerment of a child in violation of Mass. General Laws Chapter 265, section 13L, is it enough for the government to prove that a reasonable person wouldn’t? The Supreme Judicial Court recently clarified the reckless endangerment law by holding that the statute requires more than an objective showing of risk. It requires actual awareness and disregard of a substantial risk. 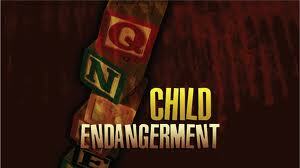 The man was arrested and charged with reckless endangerment of a child in violation of G.L. c. 265, §13L. The man then filed a motion to dismiss, arguing that the application for criminal charges against him should have been denied by the clerk magistrate because the application failed to establish that the man actually was aware of the substantial risk of serious bodily injury to which he exposed his child. A District Court judge allowed the motion and dismissed the charge. A charge of walking on railroad tracks in violation of G.L. c. 160, § 218 was not dismissed. On appeal, the government argued that it need not prove actual awareness of a substantial risk of serious bodily injury, but rather need only meet the common law objective standard of recklessness, that is, that either the man was aware of the risk, or that a subjectively reasonable person would have been aware of the risk. After holding that conscious disregard of the risk was required, the Court went on to find that the government had indeed shown probable cause to believe that the man in fact was aware of and consciously disregarded a substantial and unjustifiable risk that his acts would result in serious bodily injury to a child. The Court relied on the fact that the man knew he was walking with his minor son on railroad tracks, and that the man knew he was drunk at the time (having told the police that he was “fucked up”). The Court also relied on the “common knowledge” that railroad tracks are dangerous places to walk. This case should prove helpful in defending against a charge of reckless endangerment, as it clarifies that there is a heightened burden of proof beyond what was required at common law.